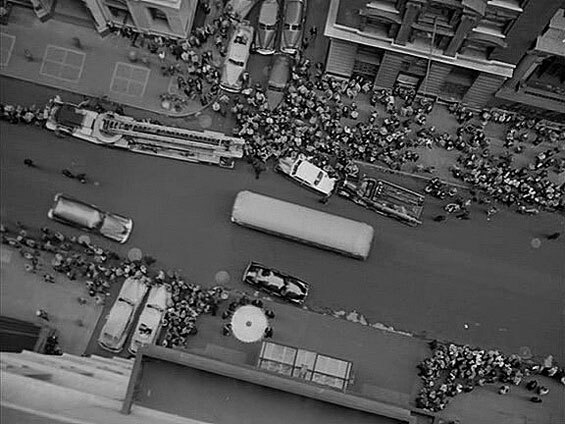 While on patrol on Lower Manhattan on St. Patrick's Day, traffic cop Charlie Dunnigan (Paul Douglas) spots a potential suicide on a ledge of a Broadway hotel. 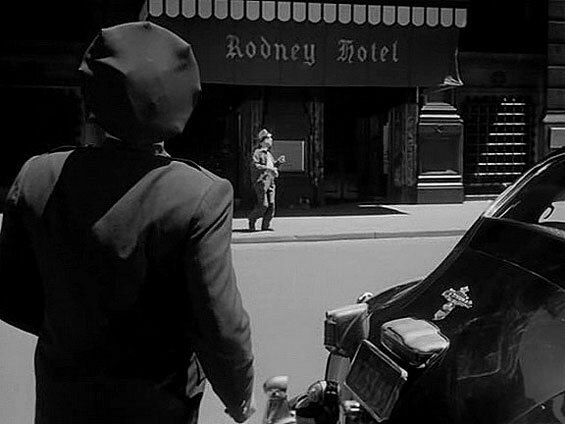 Because the young man vocalizes his dislike for the police, Dunnigan alters his uniform and establishes a rapport with him. When the police rescue squad arrives, Dunnigan returns to his street duties. Authorities identify the jumper as Robert Cosick (Richard Basehart) but are unable to win his trust or discover the reason for his actions. Cosick demands that Dunnigan return as the swelling crowd and cynical reporters create a media circus in the streets. As the day wears on, psychiatrists, Cosick's dysfunctional parents, and his ex-fiancee all try to talk him off the ledge without success as the day gives way to an eerie night illuminated by floodlights. 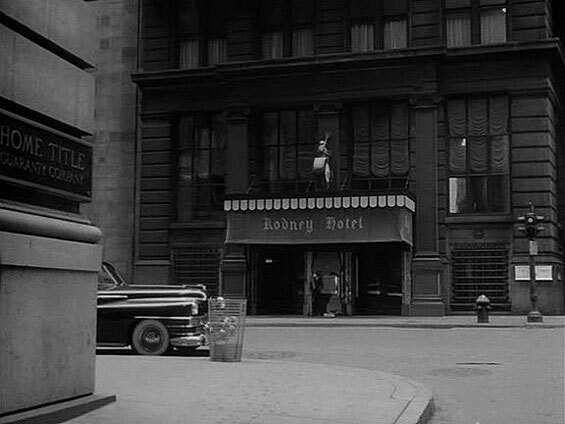 otsoNY Comments: As was typical of other big studio films of the time, the exterior action photographed on location on the streets of New York City, but the dialogue scenes were shot on a copy of the building and on studio sets at the Fox Studios in Hollywood. 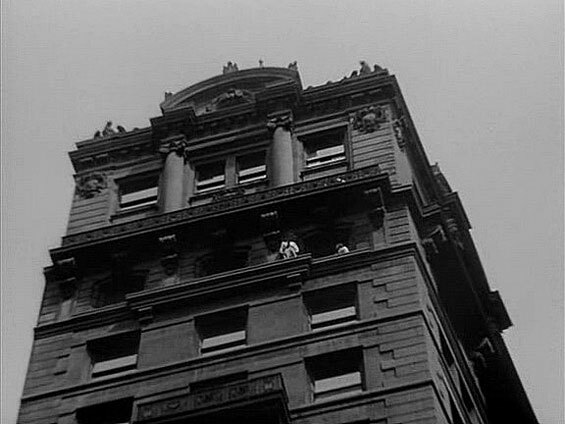 The production used a real bank building in New York (The Guaranty Trust Co.) and they planned to film all of the outdoor crowd scenes over Memorial Day weekend. 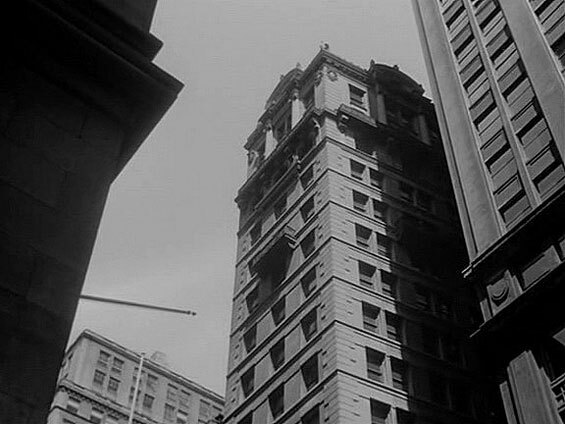 However, the ledge on the bank building turned out to be too narrow, so an extension was built (12 inches deep, 42 feet wide)) and filming ended up taking two weeks. 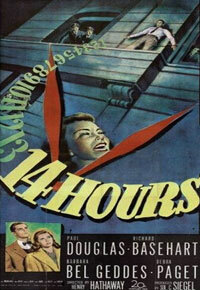 The entire bank building was dressed with curtains, a new entrance canopy, metal nameplates, and marquee. 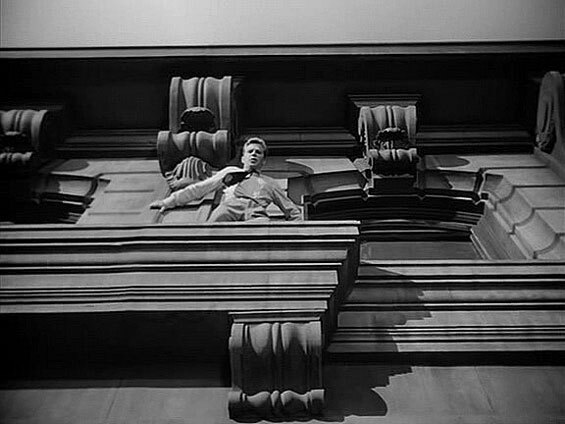 The replica of the hotel ledge that was built on Fox's Stage 8 cost $32,000. 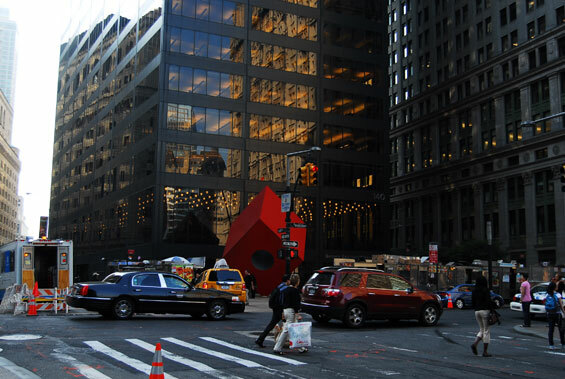 The building used was demolished in 1967. 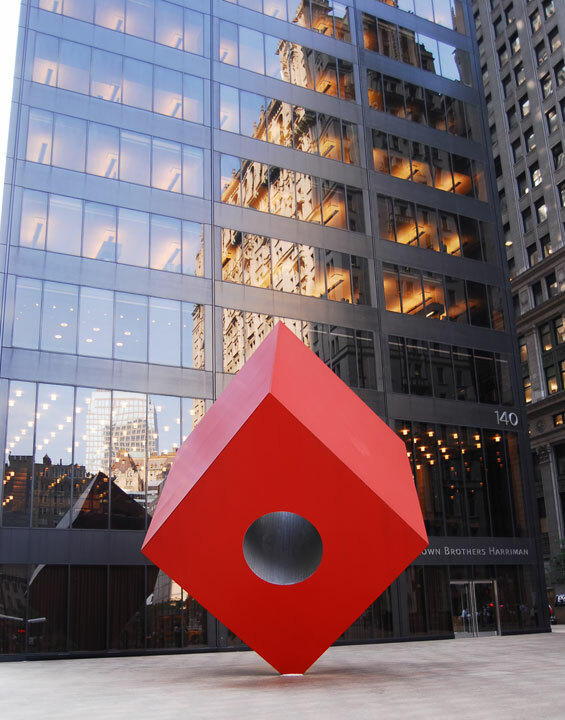 It was replaced by the 52-story tower 140 Broadway, noted for its large red cube in the plaza.